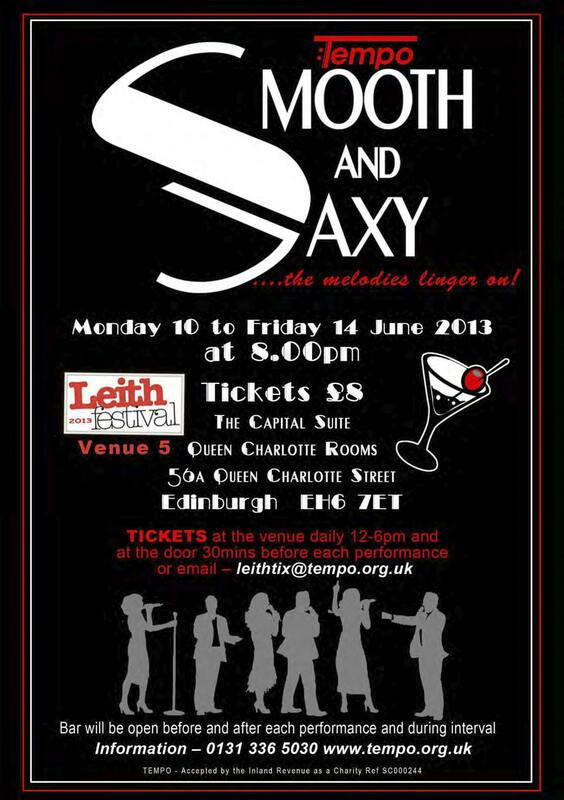 Tempo are delighted to be taking part in this year's Leith Festival with their cabaret show SMOOTH AND SAXY. Relax and enjoy an evening of music, mood and style in an atmospheric setting as Tempo, Fringe award winners, perform a classic selection of songs. Unforgettable melodies such as - Come Fly With Me, Summertime, The Way You Look Tonight, Just In Time and My Baby Just Cares For Me. Vocal vibrance and versatility and musical smooth from this choice group of singers and musicians. and after each performance and during interval. 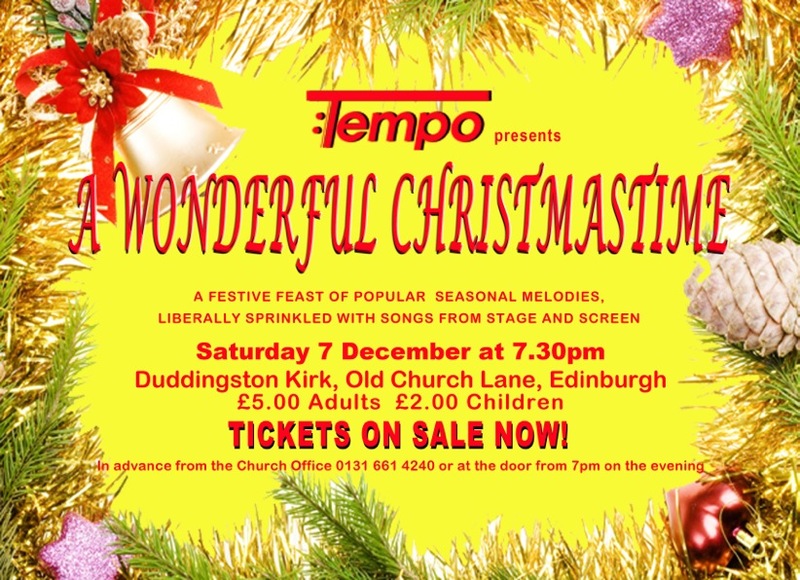 TEMPO present two concerts to coax you into the spirit of Christmastime, featuring popular yuletide songs loved by all ages and made famous by singing legends Bing Crosby, Judy Garland, Dean Martin, Ella Fitzgerald, Elvis Presley .........and many more! 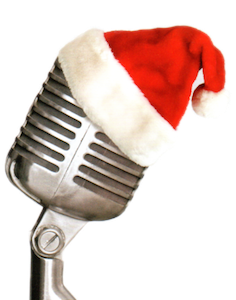 Festive fun wrapped up in the most welcome gift of song - come along and singalong! These are fundraising events and we would welcome and appreciate your kind support. The Magnusson Centre for Performing Arts, Edinburgh Academy, Henderson Row FRINGE VENUE 70b. "SMOKEY JOE'S CAFE" is a musical theatrical revue showcasing the wonderful songs of Jerry Leiber and Mike Stoller - the show opened on Broadway on 2 March 1995 and closed on 16 January 2000, after 2036 performances. The Original Broadway Cast soundtrack recording won a Grammy award in 1996 (Best Musical Show Album) and the musical itself was nominated for no fewer than seven Tony awards. 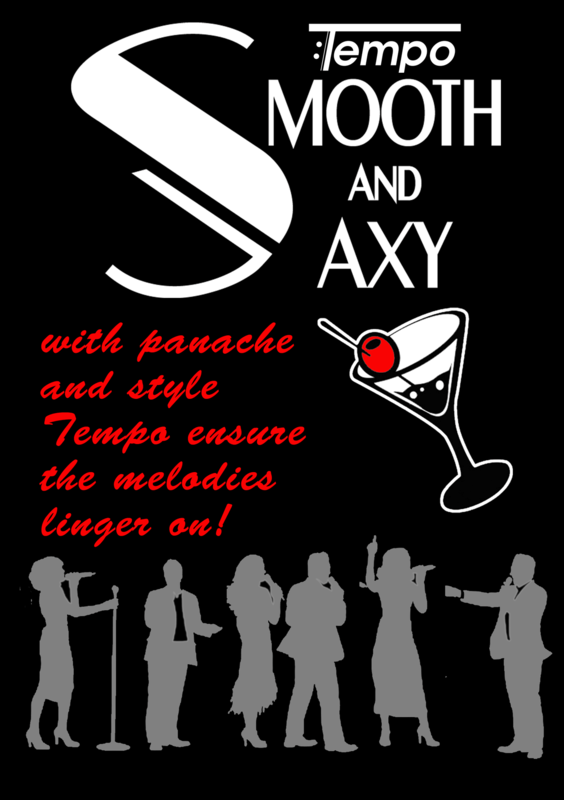 Tempo has assembled a talented and versatile cast of performers who will sing and dance their way through a non-stop catalogue of some of the best songs ever written and recorded, such as "Poison Ivy", "Fools Fall In Love", "Hound Dog", "On Broadway", "Love Potion No. 9", "Jailhouse Rock", "I'm A Woman" and "Stand By Me". 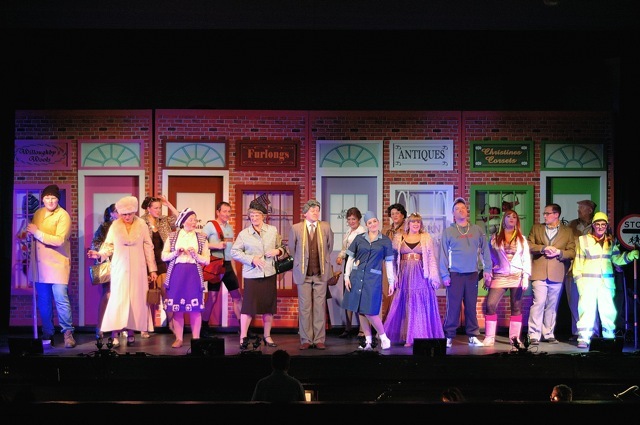 "........a vibrant and nostalgic musical revue ........... this is top-notch entertainment." "........"Smokey Joe's Cafe" isn't just great pop music, it's compelling musical theatre." "........ a blessedly plotless revue consisting entirely of heartfelt singing and stylish dance numbers set to the great hits of Leiber and Stoller." 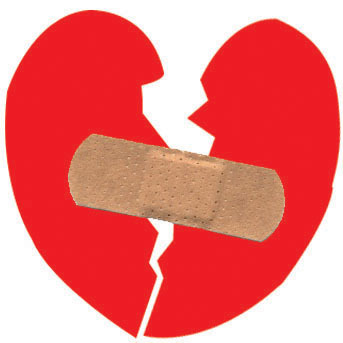 A comic collective of short dramatic pieces exploring the intricacies, pitfalls and trivialities of marriage. 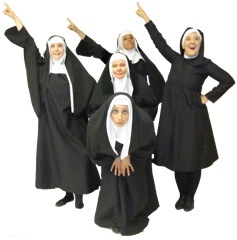 Incorporating works by George Melly and Alan Ayckbourn, amongst others. Experience this acidly humorous, entertaining toast to the institution by Fringe favourites Tempo. 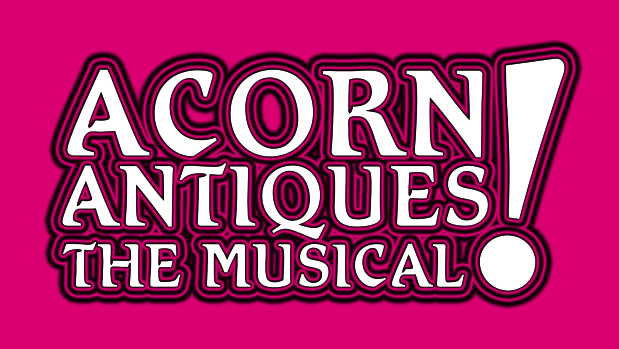 Acorn Antiques-The Musical! 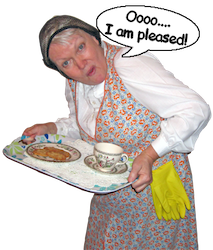 is an Olivier Award-winning musical about an antiques shop, based on the parodic soap opera of the same name by Victoria Wood, with the intent to give people a "lovely, happy night in the theatre". 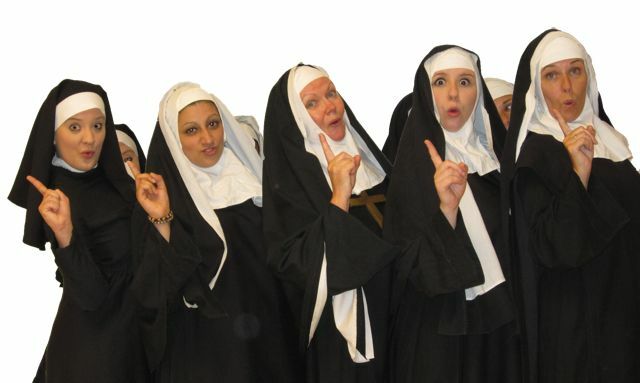 It was first staged in London's West End in 2005, and starred Julie Walters and Celia Imrie. It enjoyed sell out and standing ovation status for its entire run. Acorn Antiques - The Musical! in our 21st Anniversary Year. Acorn Antiques was first seen on BBC Television 21 years ago and has been a firm favourite with the nation ever since. 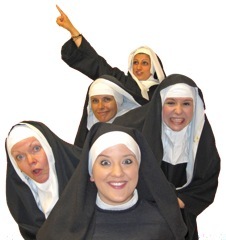 We're delighted to have brought it to Edinburgh audiences in 2012. The musical follows Miss Babs’ struggle to keep her antiques business open, as shop after shop in the High Street is forced out by faceless chains…can she afford to turn down the offer from The Guilty Bean (the world’s second biggest chain of coffee shops – “We’re second so we grind harder”) and if they do update the shop, can they still afford to employ Mrs Overall? And will Mr Clifford ever get his memory back, and remember who he’s engaged to? And most worryingly, will Mrs Overall be able to tap dance while holding the tray? 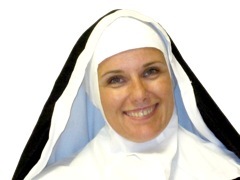 and divine musical mirth. 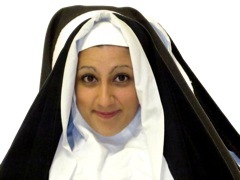 Sister Act, eat your heart out! 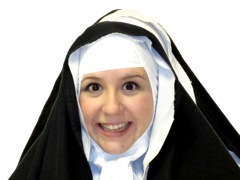 It’ll be a sin to miss! Adapted from Gypsy Rose Lee’s own book “GYPSY - A Memoir”, this Tony Award-winning show is considered by many critics to be the greatest American musical ever written. The show storyline focuses on Gypsy Rose Lee’s own mother, Rose, whose name has become synonymous with “the ultimate show business mother.” In particular, it follows the dreams and efforts of Rose (played by Norma Kinnear) to raise two daughters to perform onstage and casts an affectionate eye on the hardships of showbusiness life. 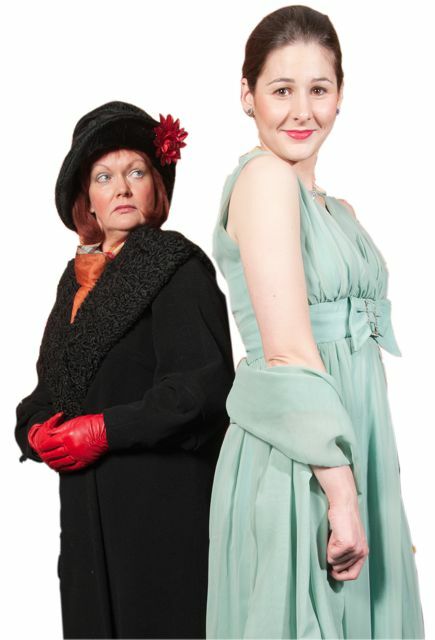 The character of Louise is based on Gypsy Rose Lee herself (played by Alexa Brown) and the character of June is based on Lee’s own sister, the actress June Havoc (played by Mairi Beaver). GYPSY is rarely performed by amateur theatre groups. 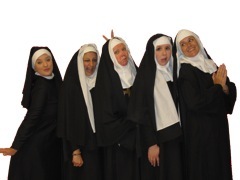 Tempo wass delighted to give Edinburgh audiences a rare chance to see this wonderful, highly acclaimed musical. GYPSY is more than an entertainment - it was an experience not to be missed! 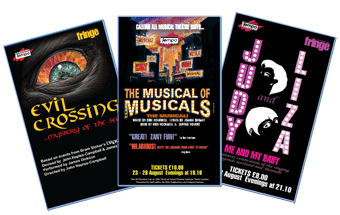 We are pleased to announce that we have just finished staging two highly successful musical presentations in the Fringe - from Monday 23 to Saturday 28 August, in the Magnusson Centre for Performing Arts, Edinburgh Academy, Henderson Row FRINGE VENUE 70 They were:- the hilarious satire on musical theatre entitled - "THE MUSICAL OF MUSICALS (THE MUSICAL!)" 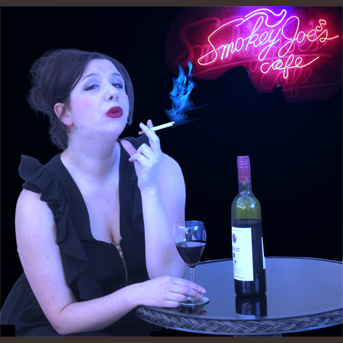 and another of Tempo's innovative and acclaimed cabaret productions - "JUDY AND LIZA - ME AND MY BABY". We also devised a one man play called "EVIL CROSSING" inspired by Bram Stoker's novel - DRACULA. Please click on the show titles for further information. February 2009 saw our sell-out production of "OLIVER! ", then, in August, Susie Dumbreck directed our Festival Fringe presentation of "THE RINK", a rarely seen musical with music by John Kander, lyrics by Fred Ebb (CABARET, CHICAGO) and book by Terrence McNally (THE FULL MONTY). In addition to that we also devised and staged (in the Fringe) a unique compilation of spectacular James Bond Themes, entitled "NOBODY DOES IT BETTER". 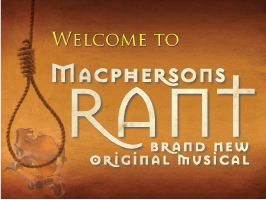 In October, we were also delighted to be involved with Thyme Productions and to assist them with the launch of "MACPHERSONS RANT", a brand new musical written by John Ward. 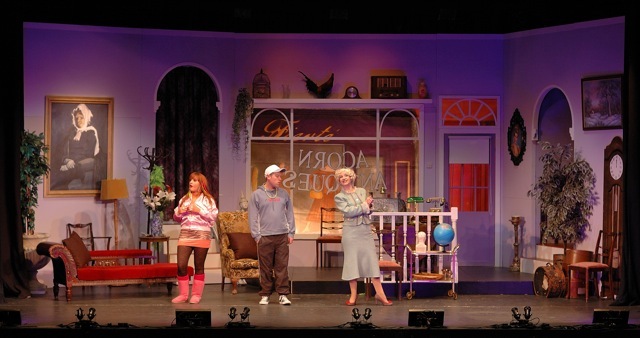 February 2010 saw us enter the New Year with a fresh, energetic presentation of the hilarious smash hit musical "HONK!". 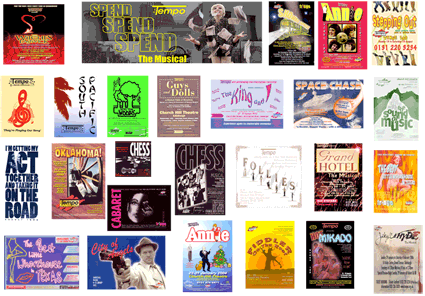 Check out our shows from the past in our Archives pages coming soon! 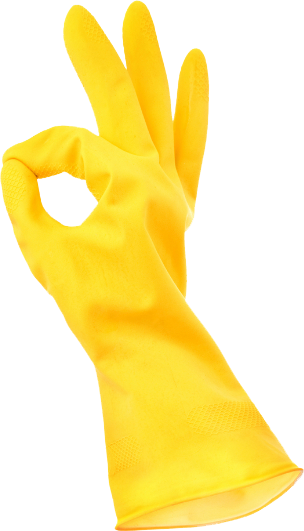 This page is currently being updated.